The view north from the A14 bridge with the 1103 Norwich to Cambridge approaching. Milton Crossing cottage can be seen in the distance. The shot was achieved by parking up on the bridge. These days it would be rather dangerous with the vastly increased volume of traffic. 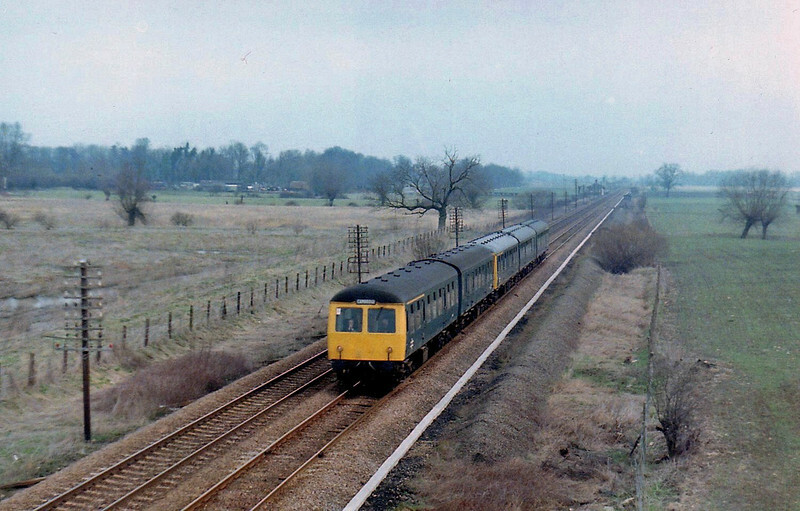 Image dated 1st April 1979.